MT. 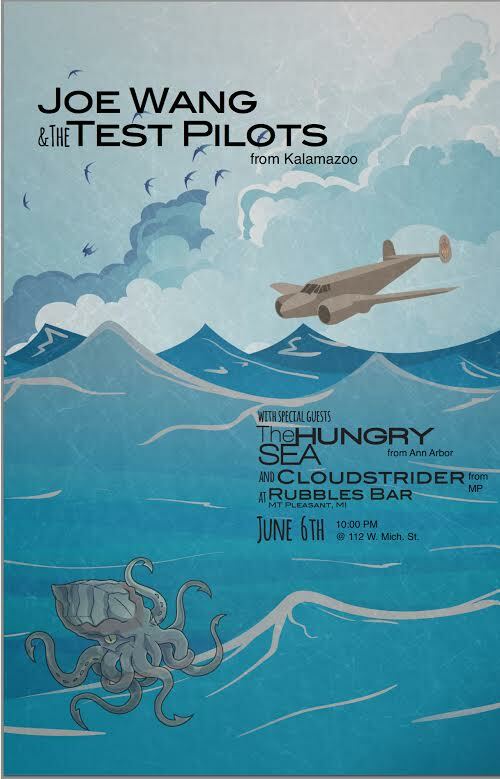 PLEASANT — Three bands with connections to the mid-Michigan area will share the stage at Rubble’s on Saturday, June 6. Cloudstrider has the most current ties to the region. The alt-rock-blues power trio based out of Mt. Pleasant features Mid Michigan Community College instructors Chris McNicol on guitar and Anthony Sassin on drums, along with local eclectic musician Brian Koehler. They will be the opening band for the show. McNicol teaches in MMCC’s math department and Sassin teaches English. The Hungry Sea is a minimalist roots rock trio from Ann Arbor with a strong mid-Michigan connection. Singer-guitarist Greg Marten grew up in Mt. Pleasant, attended Central Michigan University for two years and was a part of the town’s vibrant indie rock scene in the late ‘80s and early ‘90s while playing with his brother and three friends in a local band called The Confessions. Marten now lives near Ann Arbor where he met the father-son rhythm section Steve and Alex Crang. They formed The Hungry Sea about two years ago. The band stitches its lo-fi style together with patches of British invasion, folk, punk-pop, and Americana. The Hungry Sea performed at Rubble’s this past October and the band is anxious to return, Marten said. The band’s original songs are more than just tunes; they are stories set to music. “Pawn Shoppe Remorse” is about tough times and decisions that accompany them. “Back Someday,” “Blood Brothers” and “Public Perception” are about choices, fractured lives and resilience. “American Dream” tackles greed. “No Luck Tears,” actually set in Mt. Pleasant, is about changes in a college town. McNicol on guitar with Cloudstrider. Courtesy photo. 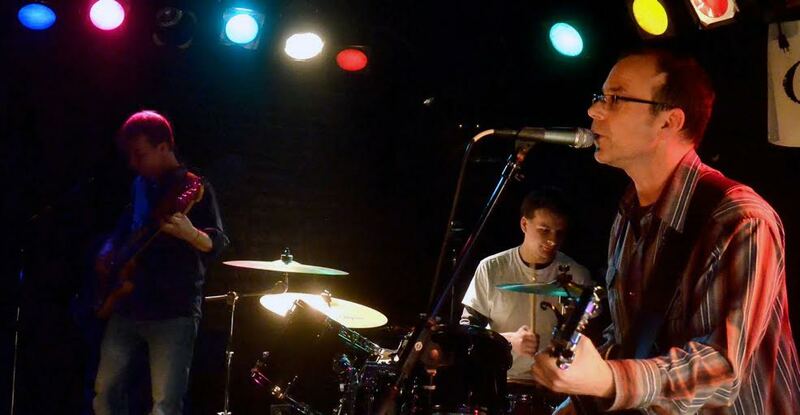 Kalamazoo’s Joe Wang and the Test Pilots, a staple of southwest Michigan’s music scape, will headline the evening with their brand of paisley underground power pop. They also have old ties to CMU. 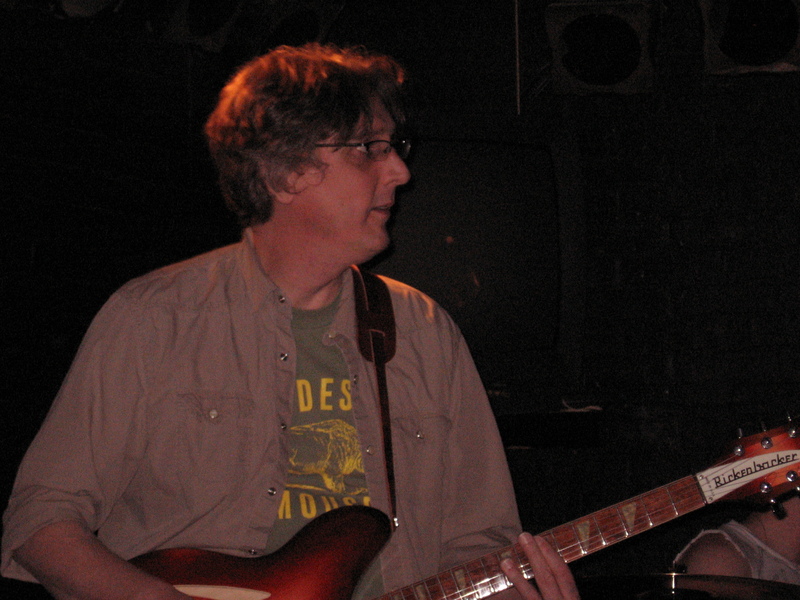 Members Tom Cross and Pete Poggione played in the Dots in the mid-1980s while attending the university. Cross was also in The Strays, a local band that reached regional acclaim, and even released a 7-inch single. “I remember seeing The Strays’ disc featured at Full Moon Records back in the day, so I’m really excited to share the evening with Tom and Pete and their band!” said Marten. The show will start at 10 p.m. Rubble’s Bar is located at 112 W. Michigan St. in Mt. Pleasant.